There are two different types of spam: discussion spam and comment spam. 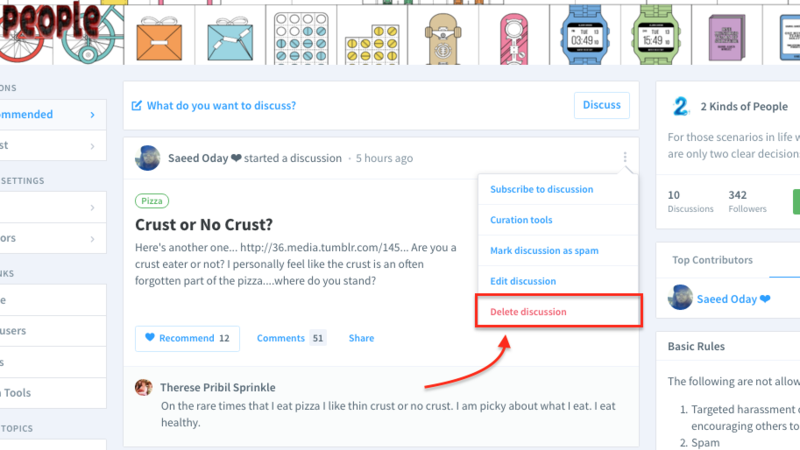 Discussion spam can be removed by clicking "Mark discussion as spam" button either on the Channel page or on the Discussion page. Select User and click Save. If you wish to un-ban a user, click on the "Banned Users" button on the left side of your channel feed. This will take you to the list of banned users in the moderation panel. Then, simply click "REMOVE" on the user you wish to un-ban. Select Mark as Spam from the comment dropdown menu. 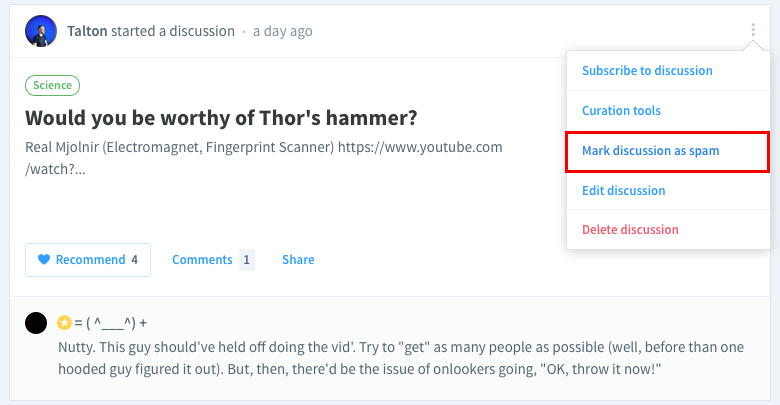 Respond to any email with delete, approve, or spam to take action without visiting the thread or mod panel.